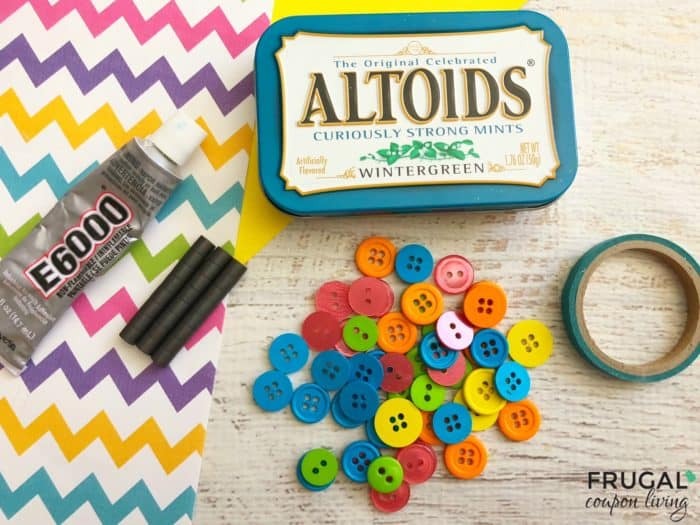 How fun is this Altoid Tin Craft? We created a Tic Tac Toe Travel Game using an upcycled Altoids Tin Box. Are we there yet?! Familiar with the tune of this common question? 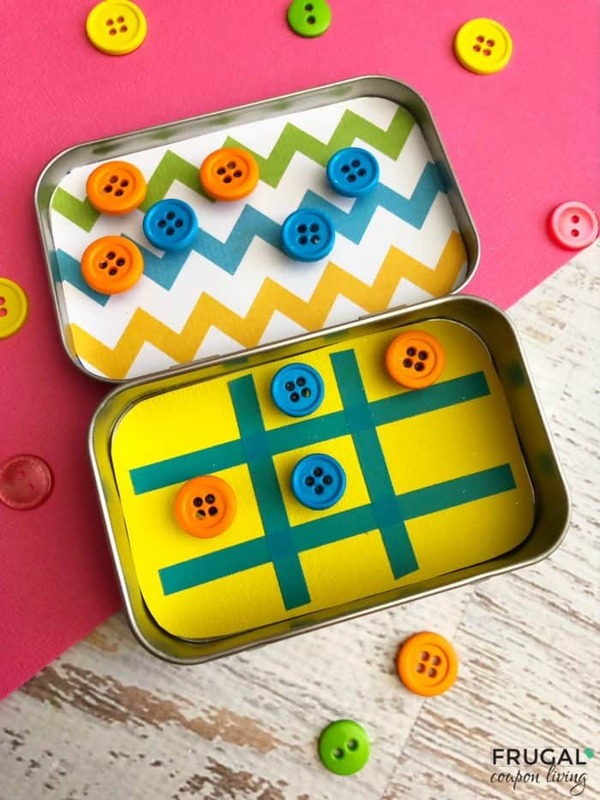 We put together a cute DIY Altoids Tin Game you can make with your child. 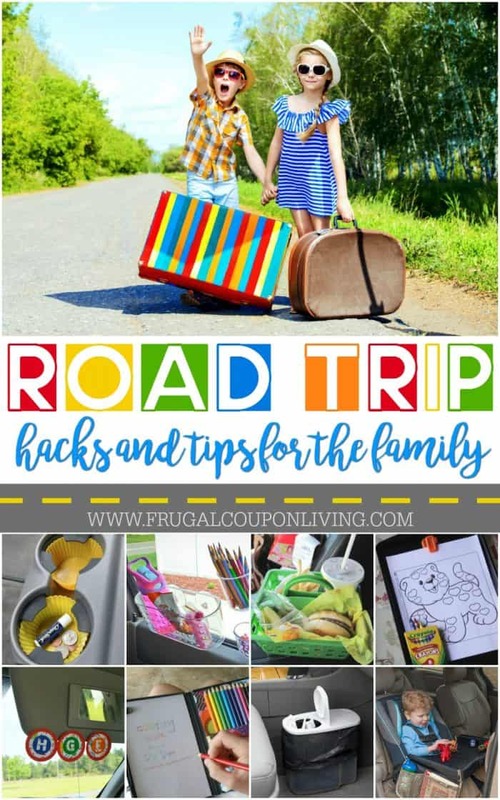 Not only is this a great rainy day activity for the kids, it could result in some bought time on your next car ride and help you avoid the age old question – Are we there yet?! 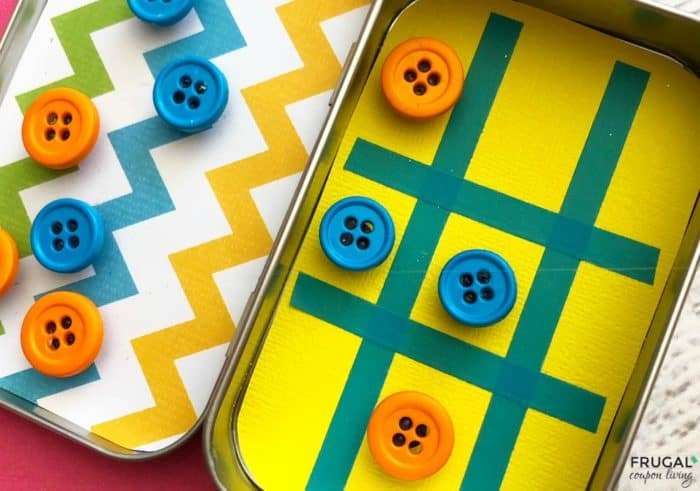 Using supplies you likely have around the home – card stock, washi tape, buttons, glue and magnets, create your own DIY Tic-Tac-Toe Travel Game! This is a very simple craft and requires a little supervision from an adult. It oculd be a fun DIY gift to give a friend. 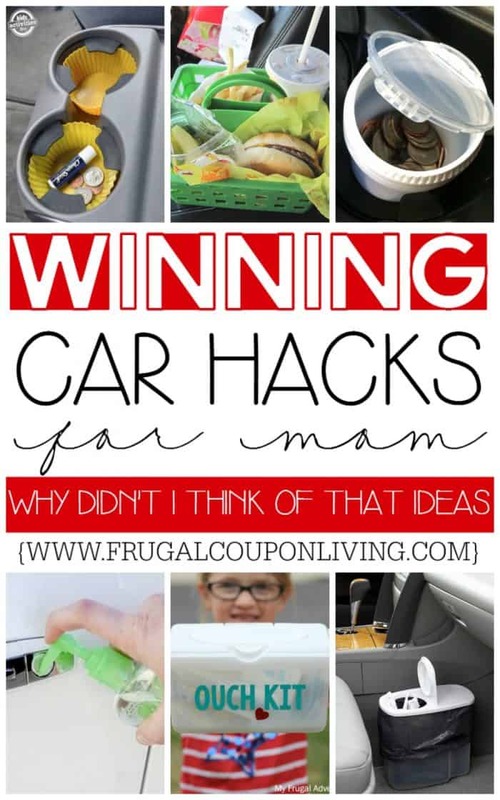 Pair with some other Travel Game Ideas and make a Road Trip Bucket as a birthday present. Are you the one traveling? You will want to check out these posts as well! Trace the bottom of your Altoids container on two different colorful cardstock sheets. ( We did a solid for the bottom and a colorful pattern for the top). Cut out your traced Altoids container card stock paper. Use your washi tape to make a tic tac toe pattern onto the solid sheet. Glue the colorful pattern to the inside top of the Altoids tin and the solid color to the bottom with your glue stick. Carefully glue one magnet to the bottom of each button until you have 2 sets of the same 5 color button magnets. Let your magnets dry overnight. Store your magnets in the tin, they will stick to the inside top or bottom for a great travel tic tac toe game. 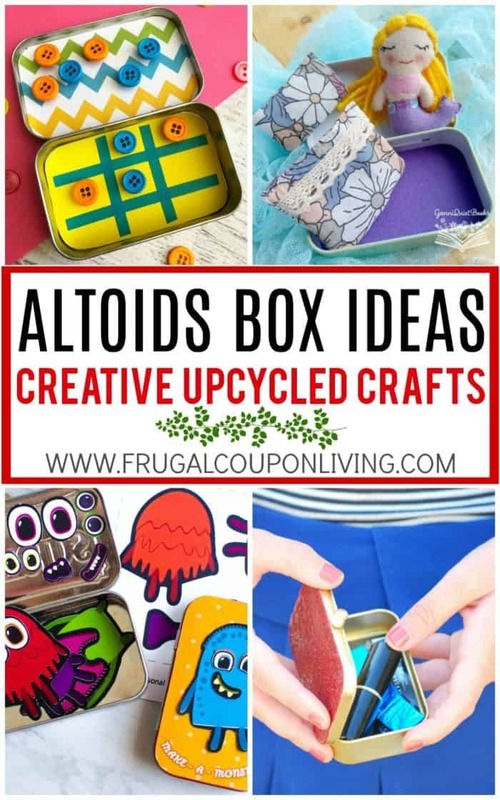 Also enjoy these Upcycled Altoids Tin Ideas. Pin to Pinterest. 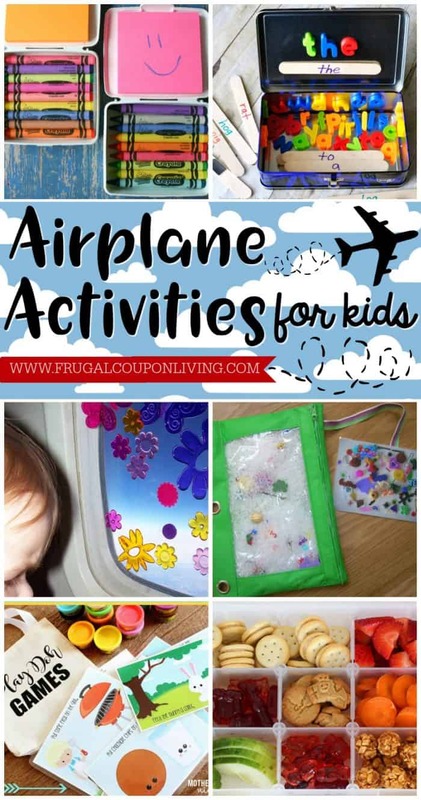 This Altoids Game Idea goes great with our Airplane Activities for Kids. Pin to Pinterest.